Weddings are getting more and more expensive, but is it appropriate to ask your friends for help paying for your wedding? Rachel Bertsche spent eight months trying to live life like a celebrity, and ended up writing a book in the process. Plus, what’s the latest at the 2014 Fifa World Cup? Good Morning America shared these stories. The average wedding is just under $30,000, and now some people are asking for help paying for their wedding instead of registering for gifts. Some couples feel like it’s a good way to create community for the wedding, and get their friends and family involved. 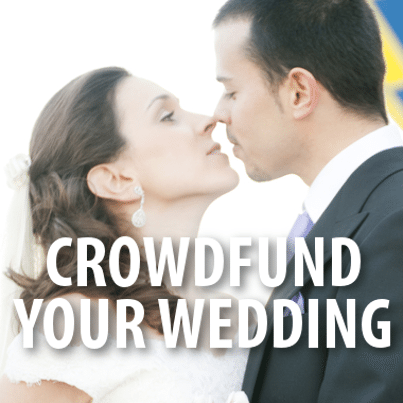 However, in some cases, couples are even reaching out to strangers to help pay for their weddings. Huffington Post contributor Kellee Khalil doesn’t think it’s the best use for the website if couples are just asking for money to have elaborate wedding, and apparently she’s not alone. The flash poll on Good Morning America asked viewers if they’d be willing to ask strangers for money to pay for their wedding, and only 5% said yes. Rachel Bertschespent eight months taking on the traits of some of the biggest names in Hollywood to try and find out what makes celebrity women happy. Her new book Jennifer, Gwyneth and Me documents her experience. Rachel Bertsche’s wallet isn’t the same size as a celebrities, so she did the whole thing on a budget. Even on a budget, Rachel Bertsche worked out like Jennifer Anniston, dressed like Sarah Jessica Parker, and ate like Gwyneth Paltrow. She said putting on an outfit, or going for a run, makes you feel kind of fabulous. Rachel Bertsche also said that if a celebrity makes you want to live the best life you possibly can, then it’s OK to take inspiration from them. Paula Faris is in Salvador, Brazil for the 2014 Fifa World Cup with U.S. super fans. One fan drove his Winnebago from New York all the way to Brazil to see the U.S. men’s soccer team. Another fan, Mike D’Amico, is dressing up as Teddy Goalsevelt. Six friends who many have started referring to as the U.S. super fans, have some crazy costumes, and have kept a video diary of their trips The guys said that they’re pretty much out of money, but that it’s totally worth it. The U.S. bought more tickets to the games than any other country except for Brazil. The U.S. played Belgium at 3 p.m. ET on July 1 2014. You can tweet pictures of yourself with the hashtag #SocialSquare for a chance to be featured on Good Morning America.